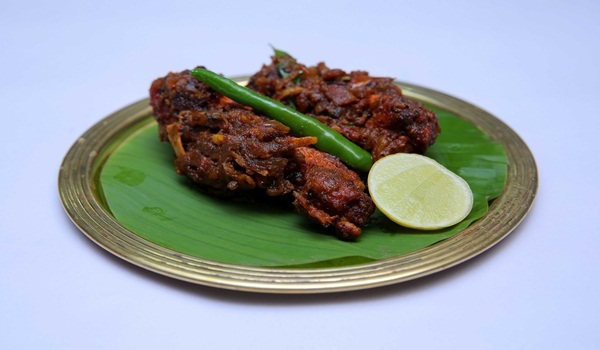 Regional delicacies take centrestage in a series of food festivals at Dakshin, as the hotel celebrates a milestone. DAKSHIN, the Grande Dame of South Indian cuisine in the city, turns 27 this year and Executive Chef Praveen Anand is celebrating this milestone with a series of 10 food festivals themed on the regions, communities and dynasties of South India. While we make serious inroads into the appalams and other fried doodads, Chef Harish Rao tells us about the cuisine we are going to be sampling. Kanara Jevan literally means food from the North Kanarese region and this festival starts next week. I must point out here that Dakshin should be proud of their chutneys. When you experience these flavour bombs even before the serious food arrives, you know your taste buds are in for a treat. We start with Yetti Karwar Fry and Alvemandi Phodi and the semolina coated crispy prawns and colocasia set the stage nicely for what promises to be a good evening. To offset the spices, we pair the whole meal with a flamboyantly aromatic GewA?rztraminer. You would not expect to find Ladyfish on the menu at a fine dining restaurant but the Kane Koli Vaidhina was exceptional. Nei Kori is a dry preparation of chicken with ghee and was the dish of the evening, whether eaten with appam or idiappam. The Masa Coondapur mutton curry impresses with subtly complex flavours and textures engaged in lively debate. On the vegetarian side, the sweet and sour pineapple curry, the Ananas Mensakai, has to be tasted to be believed. The Tharkari Padhartha, mixed vegetables simmered in cashew nut gravy, is adequate but very low-key. An honorable mention goes out to the Kadala Gassi a�� Bengal gram in a curry of coconut and bedagi chilly.A� And, lest I forget, we got a little extra from the current Syrian Christian food festival a�� chilly beef with Kerala parotta. Yum! Dessert is Elanir Payasam and a a�?home madea�� mango, banana and jackfruit ice cream! Chatting with Chef Praveen Anand is like a history lesson on Southern India through the lens of a foodie. The 10 food festivals have been curated beautifully with focus on accuracy and authenticity of ingredients. Service is great and it is evident that the new name on the front gate has not made a difference to the restaurant. Our verdict? What are you waiting for? Make your reservations.